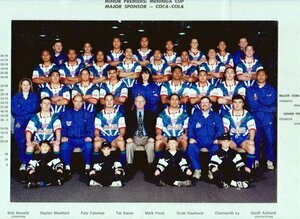 Warriors Colts were sponsored by Coca-Cola and included future Warriors players like Monty Betham, Ali Lauitiiti and Warangi Koopu. 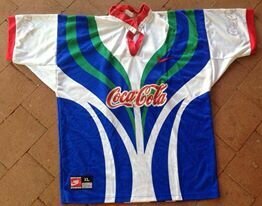 Only jerseys out there were player issue or match worn. These werent available for general sale. The jersey photo used here doesnt have the sleeve sponsor on it but they were meant to be on there like in the team photo. PLAYERS JERSEYS - The only type available. 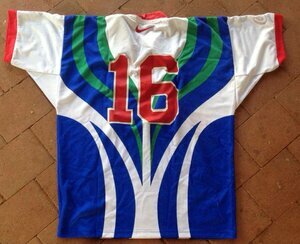 These jerseys are rare and I have never seen one come up for sale online.